Tom Brady wasn’t the only one who fell a bit short on Super Bowl Sunday. The internet has decided Netflix fumbled an easy pass with its sneaky, surprise release of a sequel in the Cloverfield franchise. 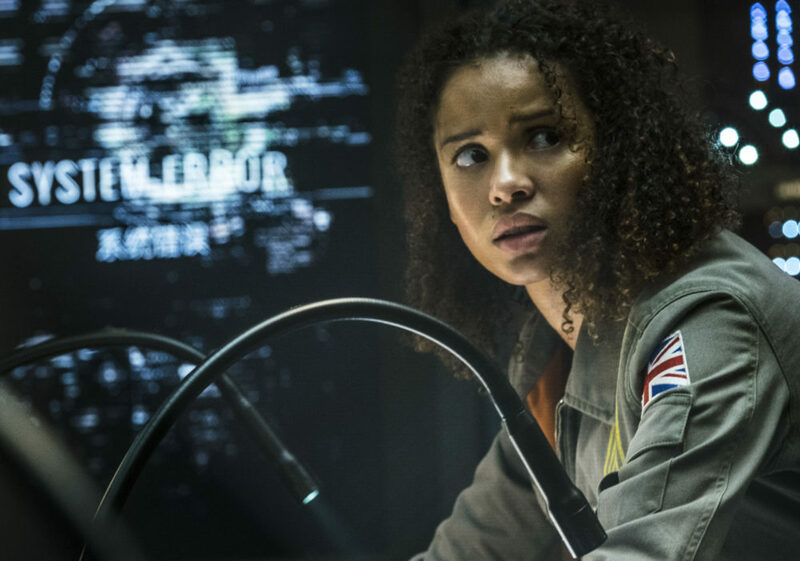 By dropping an unexpected trailer during the big game, then making The Cloverfield Paradox available for streaming immediately afterward, the company had a huge opportunity to score a massive hit. Instead, the confusing movie got pretty nasty reviews all around. Of course, people were talking about it — and watching it — either way. Almost as soon as the trailer debuted between football plays, social media was blowing up with messages of excitement and surprise. Not only did the teaser appear to use the same shaky camerawork and anxious vibe that helped cement the original Cloverfield and follow-up 10 Cloverfield Lane as fan favorites, it promised J.J. Abrams as a producer and an all-star cast featuring Gugu Mbatha-Raw, Daniel Brühl, Chris O’Dowd, David Oyelowo, and Zhang Ziyi. As Ava DuVernay pointed out on Twitter, many were excited that it’s directed by and starring people of color. Plus, with its surprise drop and social media frenzy, the sequel may have drummed a similar level of creative publicity as its original film. Fans were caught off guard — and totally psyched to tune in after the game (well, after the game and that heartbreaker of a This Is Us, probably). But when fans and critics did tune in, they were mostly disappointed in what they saw. No matter what, we still have 10 CLOVERFIELD LANE, which still rules very hard. The Cloverfield Paradox might be—and I’m not kidding, this isn’t hyperbole—the worst sci-fi movie I’ve ever seen. It was different level putrid. I love the idea of big franchise movies going straight to VOD or Netflix. That being said this new Cloverfield movie is pretty terrible. I’m convinced they made the movie and they thought it was so bad that they just sold it to Netflix. Not everyone disliked it, of course. The audience score on Rotten Tomatoes is actually at 62%. Either way, the build-up and bummer sparked a lot of conversation. And as with Netflix’s Bright, the negative reviews don’t seem to be taking away from how many people are watching, out of curiosity if nothing else. The streaming era is in a whole new (post-foot)ball game.